Seems like the Zonda is going to live on for a while as another one-off Zonda has just come off the factory floor. And this might be the craziest one after all. According to Carscoops, the owner is a well known supercar collector who already has a LaFerrari, a P1 and a one-off Koenigsegg Agera Zijin. 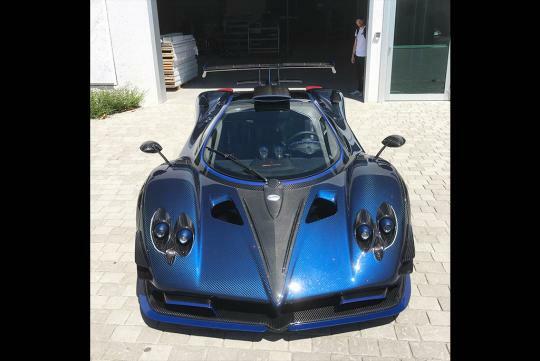 Named the Pagani Zonda by Mileson, it should have the same 749bhp 7.3-liter naturally-aspirated V12 engine that is found in the other 760-series models. While the car can be had with either a six-speed manual or a six-speed sequential 'box, this car's transmission remains unclear. 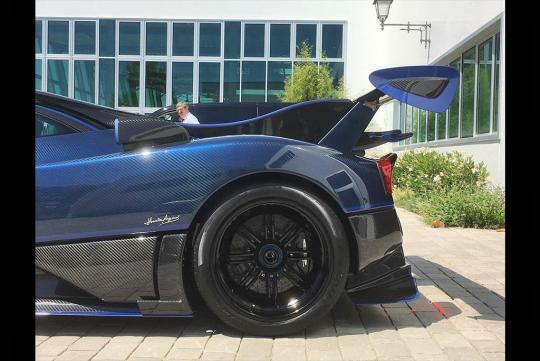 Highlights this Zonda gets over others include the body which is finished in blue carbon fibre and custom front and side skirts. 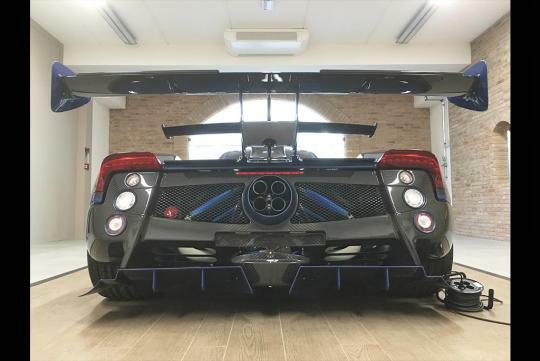 It also gets a very large rear wing that includes a second smaller wing inspired by the DRS unit of the Zonda Revolucion.